Today we are in the midst of unprecedented technology innovation. Between mobile devices with interactive touch screens, 3D effects in films and television, and almost ubiquitous Internet access from anywhere in the world, it seems there is a new technology solution for almost everything. Why then, within the ERP space, has innovation had difficulty getting traction? This white paper tells the story of a revolutionary approach to financial management and accounting systems. 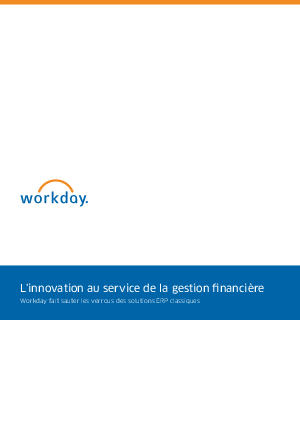 It explains how Workday has built a solution that is relevant to today’s challenges and opportunities by re-thinking, re-architecting, and re-building a financial management and accounting solution that leverages the best today’s technologies have to offer.